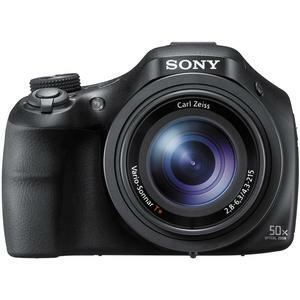 Capture all the action with the Sony Cyber-Shot DSC-HX400V Wi-Fi Digital Camera. Closeness is nothing without clarity. Enjoy 50x optical zooming, silky-smooth Full HD 1080p video and razor-sharp, 20.4MP pics -- perfect for sporting events and all your adventures. Looking to capture the mood of a shot without the harshness of a flash? Low-light environments (think candlelight and campfire) maintain their warmth thanks to the sensitive Exmor R CMOS sensor. 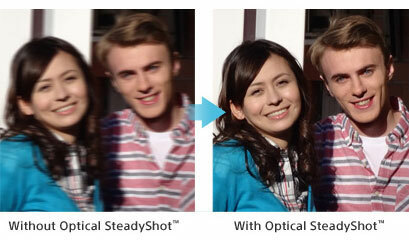 Keep your subject in focus with Lock-On AF. Instantly share your pictures and videos via built-in Wi-Fi connectivity and NFC (Near Field Communication). Also, map your images with GPS tagged photos. 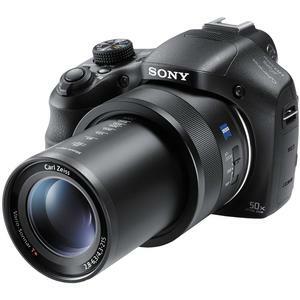 Get amazingly close with 50x optical zoom plus 100x Clear Image zoom G lens. 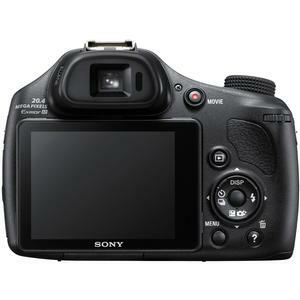 Most digital zooms use electronic cropping to get closer to the subject, resulting in unsharp images. 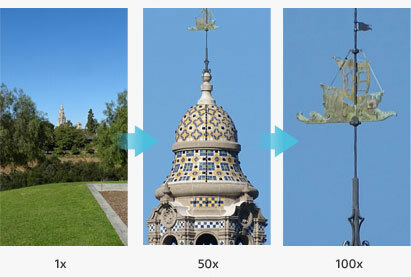 With Clear Image Zoom the powerful processor compares patterns found in adjacent pixels and creates new pixels to match selected patterns, resulting in more realistic, higher-quality images. Clear Image Zoom doubles optical zoom for closer photos. Shoot incredibly smooth video and still images with the new BIONZ X processor and Optical SteadyShot (Intelligent Active mode). When the processor and image stabilization technology work together they deliver sharp image quality with low noise and minimal blur even while the user is strolling and the camera is zoomed in. 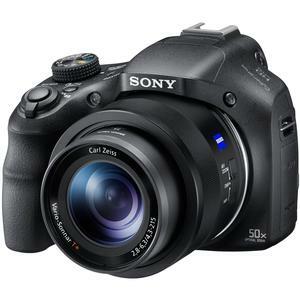 This camera features a 20.4 megapixel Exmor R CMOS image sensor that brings out the full resolving power of the camera's professional G Lens to deliver extremely fast speed, high resolution, and stunning low-light sensitivity with improved image clarity and drastically reduced grain. In addition, the combined Exmor R CMOS sensor and BIONZ X image processor delivers extremely fast up to 10fps, Anti Motion Blur, Handheld Twilight and 1080p movie modes. 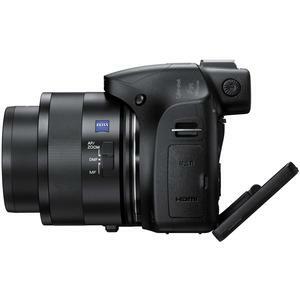 Record crystal clear movies at the highest resolution available with capabilities for 60p/24p in 1080 AVCHD video. This provides stunning, fast motion video with less distortion for playback on your HDTV. GPS records location data and camera direction as you shoot movies and photos. GPS Log lets users track a photographic journey and later view the path and images on a map. Map View allows users to view images on a map showing where they can be displayed on Google Earth. Lock-On AF gives you the ability to focus on multiple points with subject recognition to keep your subject in sharp focus even when in motion. Get creative with PlayMemories Camera Apps by applying exciting artistic effects or retouching images with professional results, then easily upload your photos Facebook or Instagram. Enjoy added functionality with apps that include Time Lapse, Smart Remote Control, and Direct Upload. Connectivity with smartphones for One-touch sharing/One-touch remote has been simplified with Wi-Fi w/ NFC control. 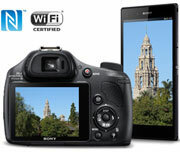 In addition to Wi-Fi support for connecting to smartphones, the camera also supports NFC (near field communication) providing "one touch connection" convenience when transferring images to Android smartphones and tablets. Users need only touch devices to connect; no complex set-up is required. Moreover, when using Smart Remote Control -- a feature that allows shutter release to be controlled by a smartphone -- connection to the smartphone can be established by simply touching compatible devices. Enjoy the beauty of 4K quality still image (4x the resolution of Full HD) via simple HDMI connection to compatible 4K TVs. 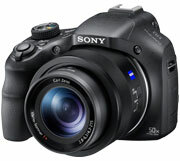 The camera can also be connected via HDMI to HDTVs for full HD 1080p resolution images. Motion-Shot Video traces subject movement on the camera's LCD for a unique visual effect. Use this playback function on the camera to study form and pathways of subjects.